Oil Minister Dharmendra Pradhan had told Lok Sabha that the government has asked state-run oil companies to raise subsidised cooking gas (LPG) prices by Rs 4 per cylinder every month to eliminate all the subsidies by March next year. Every household is entitled to 12 cylinders of 14.2-kg each at subsidised rates in a year. 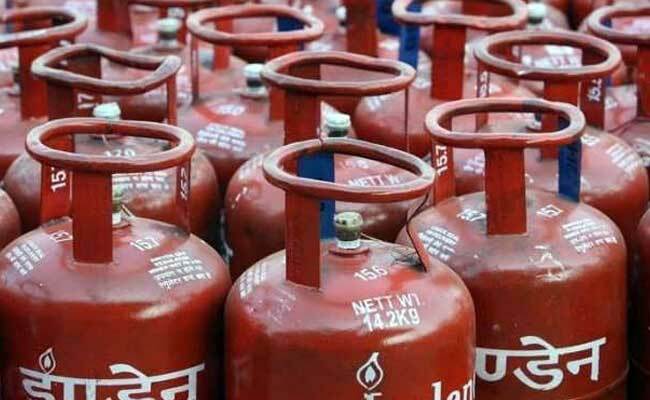 New Delhi: Subsidised cooking gas (LPG) price was today hiked by over Rs 2 per cylinder in line with the government decision to raise rates every month to eliminate all subsidies by fiscal end. A subsidised 14.2-kg of cylinder now costs Rs 479.77 in Delhi as against Rs 477.46 previously, according to Indian Oil Corp, the nation's largest fuel retailer. Oil Minister Dharmendra Pradhan had yesterday told Lok Sabha that the government has asked state-run oil companies to raise subsidised cooking gas (LPG) prices by Rs 4 per cylinder every month to eliminate all the subsidies by March next year. Now, the quantum has been doubled so as to bring down the subsidy to nil, he said in a written reply in the Lok Sabha. According to IOC, a non-subsidised LPG or market priced cooking gas costs Rs 524 per cylinder in Delhi, down from Rs 564 till yesterday. Simultaneously, the oil companies also raised price of aviation turbine fuel or jet fuel by 2.3 per cent in line with rising global oil rates. ATF now costs Rs 48,110 per kilolitre, Rs 1097 per kl more than Rs 47,013 previously. Today's hike in the LPG price is third since the May 30 order of the oil ministry to raise rates by Rs 4 per cylinder every month. The last hike was on July 1 when rates were up by a steep Rs 32 per cylinder -- the steepest increase in six years. This hike was because of the May 30 order as well as reflection of hiked tax rates under the Goods and Services Tax (GST) regime.